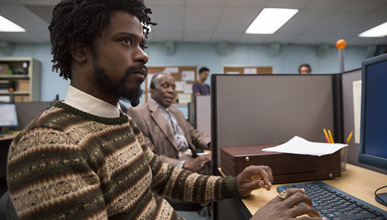 In an alternate reality of present-day Oakland, Calif., telemarketer Cassius Green finds himself in a macabre universe after he discovers a magical key that leads to material glory. As Green’s career begins to take off, his friends and co-workers organise a protest against corporate oppression. Cassius soon falls under the spell of Steve Lift, a cocaine-snorting CEO who offers him a salary beyond his wildest dreams. Two best friends (Kunis, McKinnon) embark on an espionage adventure after one of them discovers her unassuming ex is a spy, with a team of deadly assassins on his trail…. Action-comedy. McKinnon is genius in SNL sketches but her overacting was a big reason why Ghostbusters failed. In movies her detached over the top delivery means she struggles to be believable. Kunis meanwhile is perhaps the most overrated and lucky actress around, having been terrible in both dramatic (‘Oz’, ‘Jupiter Ascending’) and comedic roles (‘Bad Moms’, despite box office success). Still they both have potential if they’re directed well and there’s a strong script. The writer-director’s only previous movie, ‘Life Partners’, scored a pretty meh rating. Don’t expect much. In a noir world where puppets co-exist with humans as second class citizens, puppet private eye and disgraced ex-cop, Phil Phillips (puppeteer Bill Barretta), is hot on the trail of the serial killer who murdered his brother and is now targeting the cast members of the famous 80s television series The Happytime Gang. As the killings continue, Phil’s former flame (Banks), is next on the list. It’s up to Phil and his ex-partner, Detective Edwards (McCarthy), to find the culprit, but as bad blood and old resentments resurface the clues start pointing to the only viable suspect, Phil himself. Now he’s on the run with only his wits and hard headed determination, as he and his partner attempt to solve The Happytime Murders… Directed by Muppet maestro Brian Henson (‘Muppet Christmas Carol’, ‘Muppet Treasure Island’), this has been in development hell for 10 years. It’s an edgy idea – a puppet movie with the word ‘Murder’ in the title, and with strangely disturbing concept art – which had many promising shades of ‘Who Framed Roger Rabbit’. Unfortunately it turned out to be puerile and badly made. A group of adult troublemakers/misfits (including Hart) are forced to attend night school for different reasons in hopes they’ll pass the GED exam, equivalent to finally finishing high school… Keith David plays Hart’s Dad. Tiffany Haddish (whose breakout role in last year’s ‘Girls Trip’ shot her to fame) and Rob Riggle co-star. Hart co-wrote the screenplay. The director is a veteran of African-American comedy, helming the likes of 1999’s ‘The Best Man’ right up to ‘Girls Trip’, while barely rising above average. 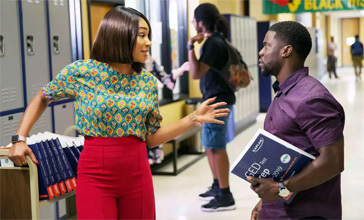 ‘Night School’ is likely to do enough for long-time Hart fans, without winning any new ones. After a cyber-attack reveals the identity of all of the active undercover agents in Britain, bumbling spy Johnny English is forced to come out of retirement to find the mastermind hacker… Emma Thompson plays the British PM. Seven years after ‘Johnny English Reborn’ (2011) and 15 years after ‘Johnny English’ (2003). this marks Rowan Atkinson’s first movie trilogy. Johnny English was originally created by a series of 90’s adverts for Barclaycard. There hasn’t been a Bond movie for so long, and this series hasn’t updated with the franchise it’s spoofing, that it feels particularly untimely. I wish Atkinson was making Blackadder movies instead of this forgettable material, but it’s easy work for him. The car he drives in the film is his own. Both Johnny English sequels have done terribly in North America (‘Reborn’ made $8 million) but the global appeal of Mr Bean has propelled each to a $160m worldwide total. Six chapters each present a different story from the wild frontier. 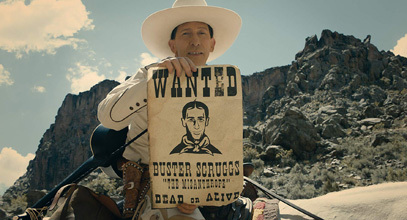 ‘The Ballad of Buster Scruggs’ tells the story of a sharp-shooting songster (Nelson). In ‘Near Algodones’, a wannabe bank robber (Franco) gets his due and then some. ‘Meal Ticket’ is a gothic tale about two weary travelling performers (inc. Neeson). ‘All Gold Canyon’ is a story about a prospector mining for gold, while a woman (Kazan) finds an unexpected promise of love, along with a dose of life’s cruel irony, on a wagon train across the prairies in ‘The Gal Who Got Rattled’. Finally, ghostly laughs haunt ‘The Mortal Remains’ as a Lady rains judgement upon a motley crew of strangers undertaking a final carriage ride… It’s the great Coen Brothers making an anthology movie for Netflix, from shorts they’ve written over 25 years, all in a western frontier world they mastered in ‘True Grit’. It won best screenplay at the Venice Film Festival, most ordinary folk say it benefits from great one-liners, striking scenery and committed performances. A few say it’s a hit and miss affair, too loosely tied together. Horror-Christmas-musical. 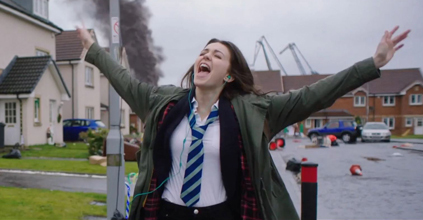 A sleepy town is threatened by a zombie apocalypse during the Christmas holidays, forcing Anna and her friends to sing and slash their way to safety with a fast-spreading horde in relentless pursuit… This has a team of Scots behind it and is based on the 2010 BAFTA-winning short film ‘Zombie Musical’ co-written by the late Ryan McHenry, creator of viral sensation ‘Ryan Gosling Won’t Eat His Cereal’. Festival critics call it a new holiday classic which balances zombie horror, comedy, Christmas and coming of age with toe-tapping aplomb. Personally I find zombie films, and zombie humour, so tired it needs a significant twist to elevate it. Singing and Christmas probably isn’t enough. Hopefully it’s as good as the underrated musical-horror ‘Stage Fright’ from a few years back. A humorous take on Arthur Conan Doyle’s classic mysteries featuring Sherlock Holmes (Ferrell) and Doctor Watson (Reilly) going up against Moriarty (Fiennes)… Hugh Laurie is Mycroft (elder brother of Sherlock), Rob Bryant is Inspector Lestrade (Scotland Yard detective), Pam Ferris plays Queen Victoria, while acting heavyweights Rebecca Hall and Kelly McDonald are Dr. Grace Hart and Rose Hudson. It’s based loosely on Farrell’s sketch playing Sherlock on SNL. Ferrell and Reilly have been one of great comedy duos of modern times, pure gold in ‘Step Brothers’ and rusty gold in ‘Talladega Nights’. However those outings were directed by Adam McKay, who’s made the vast majority of Farrell’s standout comedies. 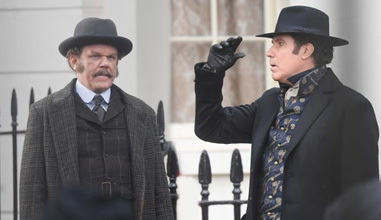 ‘Holmes & Watson’ has the director of ‘Get Hard’ which was average at best (and from the outtakes had a curious habit of not choosing the funniest improvs). The comedic concept and casting seem perfect (even Fiennes had been a great comic villain in the like of ‘In Bruges’), but the end result is an absolute crap in the bed. It’s terribleness has quickly become legendary. See the rankings on the next page for perspective. The studio reportedly tried to sell ‘Holmes & Watson’ to Netflix after the disastrous test screenings but even Netflix didn’t want it.